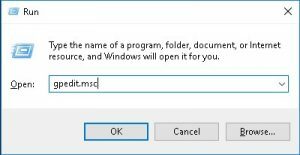 Hit Window+R and type gpedit.msc and hit Enter. 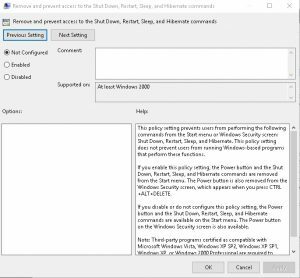 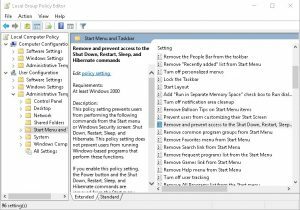 Then under Local computer Policy go to User Configuration, Administrative Templates, start Menu and Taskbar. 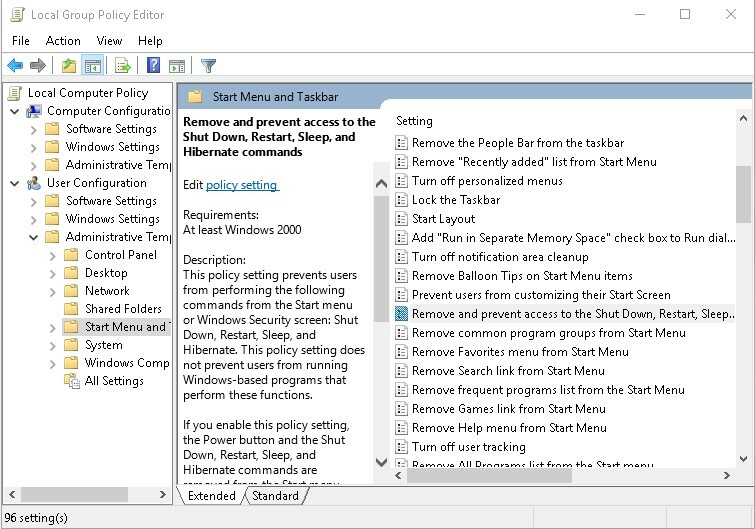 Then in the right panel find remove and prevent access to the shut down, restart, sleep and hibernate commands. 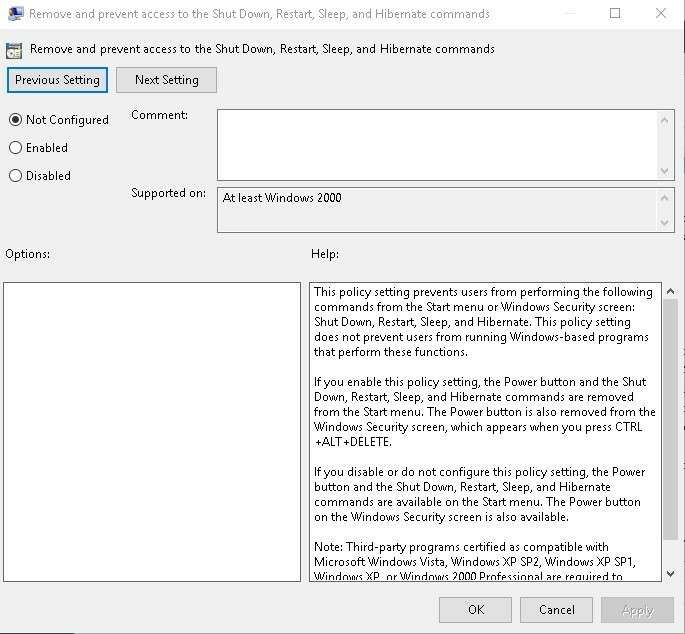 Now select Enable, click Ok and then restart your computer.